The world of Luna is expanding! 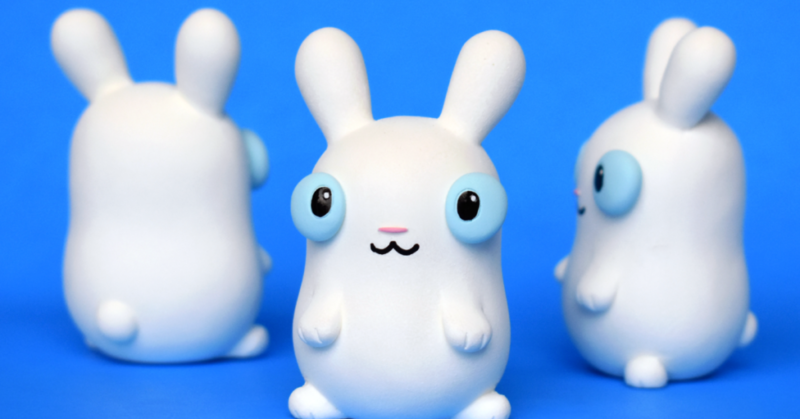 The Bots & UVD Toys are happy to introduce you to the Dusk Bunnies. Known as the ghosts of the forest, these Dusk Bunnies are lightening quick, so no doubt will be on the scamper around Anaheim at DesignerCon next week! Debuting at DCon from Friday 16th Nov, these wonderfully cute Dusk Bunnies will be available from the UVD Toys booth #2431. Standing at 3inches tall, the Dusk Bunnies are hand-cast & hand-painted resin figures. Priced at $30 each. You know the drill by now! DCon Tickets are still available and can be purchased directly from the DesignerCon site HERE. There are some further details on ticket prices in the lovely image below for those that like their information visually stimulating!